As far as nail art designs are concerned, 2018 has seen the good, the bad and the UGLY. We're here to talk about the latter. 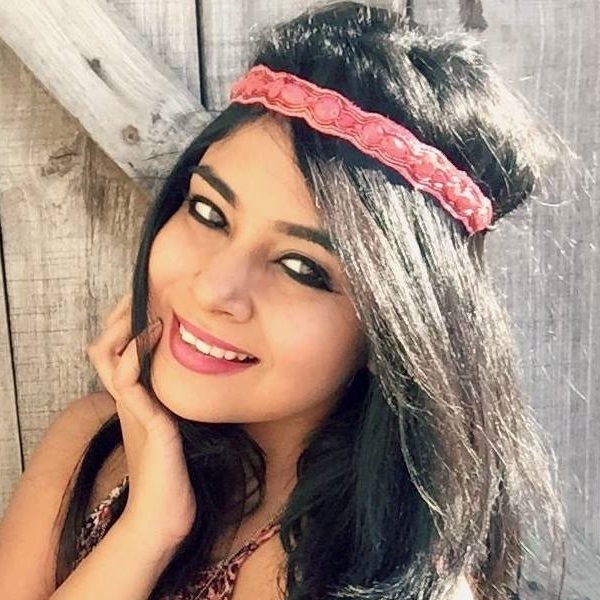 The ones mentioned on this list are cringeworthy and unique at the same time. After all is said and done, the manicurist behind each trend does deserve brownie points for creativity. Even though some of these designs have caught our attention, they haven't captured our hearts. We'll let you be the judge here. Here are 7 of the weirdest nail trends we've seen this year. 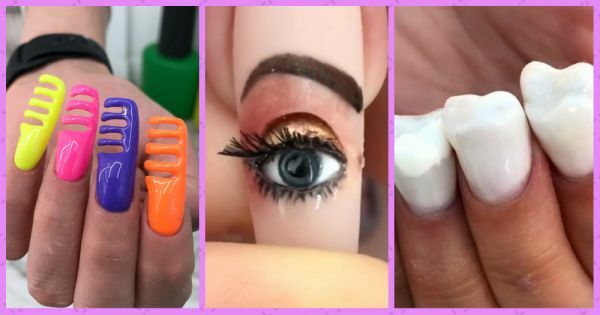 This nail art tutorial video sends shivers down my spine. This blinking eyeball nail art is definitely making it to my diary of NOPES. Forgot your comb at home? No worries! Groom your mane using your nails! They're cute and colourful, but they may not be your cup of tea. Jelly nails look strange at first, but they're actually pretty cool. They grow on you. For the monsoons, you can match your jelly nails to your jelly flats! This nail art trend is a total 'buzzkill' (Yep, pun intended!) It looks disgusting and pretty weird if you ask us. Especially the part where you stick dead mosquitos on your nails. No thank you. Pencil crayon nails? Kill us now! Even though the colouring and sculpting are on point, they aren't flattering to look at. Teeth nails?! Which horror film is this from? These look dreadful to our eyes. Nope, not trying these in this lifetime. Why on earth would anyone want ears on their nails? If that wasn't bad enough, what's with the piercings and stuff? Nuff said, these nails make us feel uncomfortable.